Hello out there! 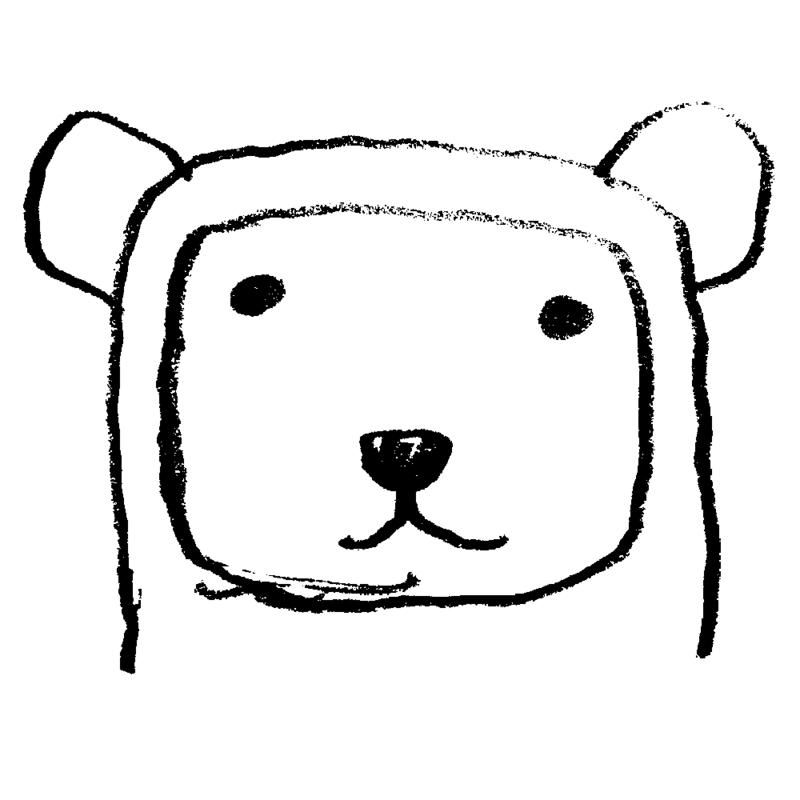 It’s me, P Bear. 1: I’m going to finish the remainder of the October collection, now known as Make Out Music. It will go to print and be sent to box set buyers by the end of the year. 2: In the remainder of the year I will do some remixes of Portland artists that I like for the podcast. Programming will probably be irregular. But expect about 14 remix/treatment tracks. 3: I will finish with an album (the 10th proper, and final for the box set) in January & February. It will be my swan song. ps. Album #8 (September) has been titled Mixed Bag and will be mailed out later this week. I’m listening to it right now. I hope it’s not too immodest to say I’m proud of what I’ve done. I hope it brings you joy. Just letting you know I’m still here, working on my tunes. They’ll be up later today. I was happily surprised to find the following on YouTube. I enthusiastically support the use of my songs for video work, personal and commercial. Here’s some of both. Keep them coming! Let me know how I can help. This one I posted about before. My first paying gig. 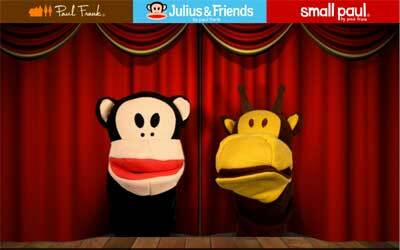 This director’s cut features a little more slapstick ‘puppetness’ than the version on the Paul Frank website. And this is a nice abstract one featuring the pretty lights of the world’s tallest ferris wheel. Wait a sec. How many figures? It’s enough to make me wonder if I’m spending too much time making music. The truth is that’s all I’ve done (apart from the undisclosed regular bear work) until last week when I resumed a little PR activity to coincide with my halfway to goal status, but either my pitch is wild, or people need to more time to digest. Probably a little of both. If there’s any solace it may be that after 100 songs made with love and care (I’m sincere about that part) letting it fade is just too big a pill to swallow. And, I’ve got more ideas where that one came from (but maybe I won’t publish them anymore). A) program their TV spots with appealing, left-of-center instrumental music? B) would consider supporting a musician with advertising contributions with logos as album art? ps. Okay, just peeped the Plies site. I’ve definitely heard his single “Shawty”. The site says if you pre-order his album, he’ll call you personally. Pretty classy, and old school, I have to admit. This video (explicit) of him explaining the deal is worth a look. I can’t say I’m a fan, but he’s pretty charming. Good on him. pps. The more I look into this, the more I find fishy about it. The company in charge of the ‘rollout’ of those 16 million singles has mostly made a name for itself as a suspected agent of entrapment schemes for the MPAA and RIAA. Any way you look at it, it’s a double standard for Atlantic to both encourage and prosecute P2P users. How is one to know if they are downloading the sponsored tune, or the trojan horse? And wouldn’t the halo effect of encouraging P2P for one song be more copyright infringement–why stop at the single if the album torrent is right there next to it? Lastly, I’ll go on the record for downloading a Plies single or two to see if it had a Sprint logo on it. Nope. Not yet, anyway. I can’t shake the feeling that this isn’t going to make the six figure splash they hope it will. The kingpins of the P2P community appear to loathe Media Defender and are likely to block any attempt to co-opt their cyber-frontier networks, even with this olive branch gesture. I still think the evolution of the recorded music business model has to start grassroots, not six figures. 1. On Wednesday I will post my 100th song for 2007*. That’s nuts. *including bonus tracks and remixes available on the CD box set and iTunes albums. 3. I’ve licensed some tracks to Paul Frank Industries. They are now the soundtrack to this short movie about their whimsical puppet mittens. Go here and click on the monkey. 4. Gosh, I’m thinking about taking August off. Would anyone mind? (I’d still finish a year of posting tracks every other day, just not consecutively… and subscribers can rest assured they’ll recieve the complete set of 10 discs.) Maybe it’s just the Monday 99 tracks blues. I dunno. I guess part of the stunt is to do it consecutively. Just a little warning in case, I guess. On July 24th Yours Truly will have released 100 songs (including the bonus tracks available on CD and iTunes–see song index) in this calendar year! Over the weekend I took some time to select my own top 40 from the first six months/albums. I didn’t think too hard about it. I’m sure if I did it again I would favor a few others over what’s here. Anyway, I made a 46 minute memoir mix for an enhanced podcast episode. Incidentally, there are four bonus tracks which made the cut (the last two have not yet been released–a little teaser for the hard-core fans, I guess). *note: On the afternoon of Sunday the 15th the iTunes app would crash when trying to download an iteration of this file. It was a bizarre phenomenon that was tricky to troubleshoot. I temporarily removed this post, but everything seems smooth now. Go figure. I plan on letting Apple know about it, for what it’s worth. 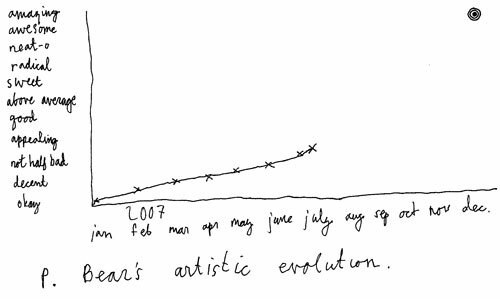 As you may know, I’m just over half way to my goal of releasing a song every Monday, Wednesday and Friday in 2007. The songs are premiered via the P. Bear Podcast and collected in digital albums, and most famously The Box Set. This release schedule will amount to 156 songs released, for free, in 2007. But that’s not all. Because I’m giving them away I wanted to create bonus tracks as an insentive for people to buy the definitive, higher quality versions. This will add about 24 more songs, or so. At present I’m fast approaching song #100 with 95 released. For those of you who were introduced to my music a while ago, I hope you’ve enjoyed the evolution as much as I have. Around the middle of March or so the P. Bear Podcast experienced a windfall of media interest from the likes of NPR, Wired.com, mp3 blogs and iTunes editors themselves, at one point pushing it up the iTunes Music Podcast Chart to #3. Since then it’s been a bit quiet, which might lead one to believe that it was all just a flash in the pan. All I know is that have focused 99% on the music since that time, and 1% on promotion. For example, I did an interview with The Globe & Mail in May and am only now getting round to posting a link. The way I see it, I’m still just getting started, and I’m brimming with ideas for the final acts of this play! If when I started my music was ‘okay’, and my stated goal was to become ‘amazing’, then I’d be happy to have reached ‘appealing’ by now. I’m not sure if I’ll get there, but a bear’s gotta aim for somethin’. The halfway point of any journey is a reckoning. Looking back you see clearly how much effort was expelled to get you where you are, which makes you acutely aware of what it will take to finish. The worker returning from a lunch break braces himself for the next four hours of the shift. The hiker remembers all the hill climbs, gazing toward the horizon. The bleary-eyed driver takes a monumental risk calling on a ‘second wind’. On the eve of reaching the midpoint of my podcast journey (that is, my year of making a song for every other weekday, releasing them via podcast), I awoke with a fly of a thought buzzing around in my head. Shoo fly, I said. This fly was the spector of a comment left as a customer review of the P Bear Podcast. It was filed around April 23rd ( I know because I decided to respond to it in song, with April 25th’s “Get Happy Now”). This ‘customer’, Drunkninja, warns would-be listeners, “There’s a reason bands don’t write three new songs per week…the tunes are interesting for about 30 seconds or so and then become boring and simple. He’s using a nice sample library and paints a nice picture but lacks any understanding of chord progressions and the role they play in taking the listener on a journey.” Rating: lowest possible, one star. It’s strange how criticism can buzz around in your brain. I guess I’m considering this now because I’m very aware of both my understanding of music (my technical aptitudes and limitations played out in over 75 songs so far this year) and my personal journey, and I’m puzzled by what would motivate someone to go to the trouble of suggesting that P Bear alone (there are no other customer reviews attributed to Drunkninja) is boring and foolishly ambitious, and should probably just stop. What gets my goat is that this is the obvious gambit: That making a song every other weekday and expecting people might find it worthy of their listening time is so obviously foolhardy. I mean, who has that kind of time? Life is hectic. There are all kinds of pitfalls to any journey which is in any way novel and / or challenging. I don’t know what the moral of this story is exactly. Different things make different people tick. I’m aware that my musical journey would have the natural tendency to drift in to watered-down, boring, samey territory. I even make a special effort to produce work that may surprise the listener who would expect this tendency. I’m not an academic. I don’t feel like I need to know the finer points of music theory to make songs or post them freely on the internet. I don’t think what I’m doing is an affront to the notion of the way bands do things. What I do know is these songs are to me, both satisfying to create and listen to. And I intend to finish the journey I embarked on January 1, 2007! Just thought I’d update you on a few developments. 1. On Comments: The P Bear blog was getting overwhelmed with spam. Ug! I don’t care for it much. So to leave a comment you have to register now. (That might be contributing to the quiet spell, of late. )Â I do enjoy all the comments readers / listeners have left in the past, so I hope this won’t deter you if you are so motivated. I’m not an avid comment maker myself, so I understand if that’s not your style of participation. I also wanted to thank all those who have dropped a line via email. The encouragement really does keep me going! My skills are limited, so I do have to work to get the songs done for y’all. 2. On The Box Set: The box set is scheduled to ship next week. The CDs have arrived and are just awaiting the boxes from the printer. They sound and look swell! Originally available at $39.99 to the first 50 customers, I’ve decided to open the floodgates and set the price there indefinitely! Also, in keeping, I’ve reduced the pay as you go rate to $4.49 for 10 months. I want to give people little excuxe not to own my music in it’s finest form. I also want to delight people with something to look forward to in the postbox. 3. On Digital: The first four collections are widely available through digital retailers, with the most recent addition being “Haplessly Happy”. iTunes has exclusive bonus tracks and $7.99 pricing. If you have enjoyed P Bear music for free I ask only that you consider leaving a customer review on the newer iTunes releases, so that the music keeps getting discovered. You’re all I’ve got. Some bits I learned from being in a band. I’m just thinking about how I got to this place. -Bass notes played with the kick drum give the song a tight feel. -If the rhythm section (bass and drums) is tight you can get away with just about anything on the top end. -Songs endings are as important as song beginnings. -It’s totally okay if a song is really simple and a 5th grader could play it. Nothing to be ashamed of. -Make space for the vocal, or lead. -Look for natural accents in a rhythm and have all the instrument voices chime on them for a strong. feel. For example, a funk recipe calls for a strong two and four count. -Songs with more than verse-chorus-verse construction are usually more satisfying. -Freaking out after a build up usually gets the crowd’s attention. -It’s best to play a ballad after you get the crowd’s attention, not before. -Avoid stopping mid-song at all costs. -You can change anything (tempo, key, mood, volume) in a bridge, but it can’t come out of nowhere. -Crescendos, drum fills, slowly decaying chords, and stick counts are handy for such changes. -The melody is the memorable part of the song. -A satisfying show and a good album have a mix of moods and tempos. -The right mood for a song might not come at first. Push and pull. Trial and error. -Having fun is job #1. Voila, making pop music is easy peasy!